Neil Clark: "Iran's nuclear scientists are not being assassinated. They are being murdered"
"Iran's nuclear scientists are not being assassinated. They are being murdered"
On the morning of 11 January Mostafa Ahmadi Roshan, the deputy head of Iran's uranium enrichment facility at Natanz, was in his car on his way to work when he was blown up by a magnetic bomb attached to his car door. He was 32 and married with a young son. He wasn't armed, or anywhere near a battlefield. western liberals who fall over one another to condemn the death penalty for murderers – who have, incidentally, had the benefit of lawyers, trials and appeals – as state-sponsored murder fall quiet as their states kill, with impunity, nuclear scientists, terror suspects and alleged militants in faraway lands…..
You can read the whole of Mehdi Hasan’s brilliant piece on the shocking murder of Iran’s nuclear scientists here. And shame on those who have cheered on- or tried to justify-the brutal murder of Mostafa Ahmadi Roshan. a sample of the comments! 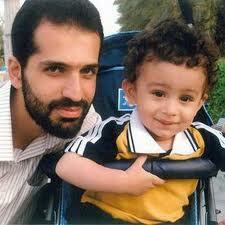 Mehdi, the fact is that it is in the world's interest to get rid of anyone helping Iran to get hold of Nuclear weapons. Iran or any arab state must never be allowed to develop those types of weapons. They are going to put the security of the world at risk. How do we know any of these folks were killed by Israel or the West? Maybe the Iranian Government had them killed as a way to get public sentiment behind a failing regime. I am also wondering where the mention of the Argentinian victims of the Hezbollah/Iranian bombing of the AMIA building there. Where was their due process? Seems like only some Governments can commit extrajudicial killings without comment. So in that vein there is nothing but shades of grey here. You’d have to feel sorry for any Iranian nuclear scientist at the moment; they must be closely monitored by the regime, and have very limited freedoms. Coupled with that you’ve got Mossad* agents on every corner to worry about. * I just threw that in for dramatic affect, I have no idea who’s carrying out these killings. My assumption is that would be far easier for a Sunni , rather than Jewish Israel, to run Muslim agents within Iran. Thus they are engaging in the same sort of justification as the dictatorial power politicians....and serving as the sort of useful idiots israel needs to carry out its work...Is israel involved? of course! the comments in the Guardian piece are a useful measure of the state of civilised western society (UKUSA) society....where persons hiding behind nom-de-keyboards can let reveal their real characters. Secretary of Defense Leon Panetta issued a perfunctory, half-hearted denial of US involvement in the killing of the Iranian nuclear scientists. I'm not sure it was even his intention to convince anyone. It might have been his intention to get people to think we were involved. I take no joy in the death of anyone, but these scientists, for whatever reason, serve a regime that persecutes Christians and loudly proclaims its intentions of destroying Israel. In my world, anything that happens that keeps this regime from having nuclear weapons is a good thing. How is the the death of one of these scientists different than the targeted death of a Hamas or Hezbollah leader? Another possibility is that the killing of Iranian nuclear scientists is being facilitated by other nations in the region who either follow a different branch of Islam, or don't want Iran to have regional hegemony. All I know is whatever nation is behind the killing of the scientists considers Iran's quest for nuclear weapons as an act of war, and is responding. brian: yes, there were some shocking comments- (there was one which was inciting more murder and terrorism which I reported and it was deleted)- but there were also lots of good comments too in support of Mehdi. Douglas- I can't agree with you on this one. Murder is murder. He pointed out that with the heavy amount of surveillance in Tehran, whoever is killing the nuclear scientists and supposedly getting away with it is a party that can pretty much do what it wants to whomever it wants, whenever it wants. Do you concur? Azarmehr suggested that the murders of the Iranian academics served a dual purpose, 1) to eliminate opponents to the regime, and 2) to inspire patriotic fervor by blaming the murders on some foreign agent. This would be consistent with Ledeen's claim that the party doing the killing is a party that could do what it wants. At this point, I am broadening my views as to the possibilities of who is killing the Iranian scientists, to include the Iranian government. you and Azamehr are channeling israel!